We are keenly aware that our clients prefer a stress-free experience when selling their home or property. The ideal situation, for most sellers, is to be able to sell quickly, to maximize profit and to feel a sense of security during the negotiations. Sally and the Platinum Team understands these requirements and follow six essential steps to make the sale of your home a positive and successful experience. We consult with you, the seller, and discuss the potential of your property and the distinctive qualities that make it unique and a must-have to the perfect buyer. We draw comparisons to properties recently sold, or listed, and then, based on our experience and “intuitive sense,” work with you to determine the best listing price. Prepare the Property to Market. Our combined professional experience in the fields of interior design, construction, landscaping, and marketing provides us with a discerning eye when it comes to offering creative suggestions on how to stage your property so that it shows to its best potential. We also provide a simple checklist for a home seller on how to prepare your property before showings. Before we officially announce your listing, we create a professional marketing and sales presentation packet exclusively tailored to your property. This packet of materials includes professional photographs, a brochure, a detailed fact sheet, an MLS listing sheet, and all pertinent disclosure statements. The Platinum Team takes a pro-active, synergistic approach, utilizing the latest technology and a focused marketing strategy, which, combined with our experience and networking capabilities, gets results. This comprehensive sales approach begins with the basics: placing your property on the MLS and our web site, and select agent tours. We place advertising in the media that best serves the individual property, utilizing newspapers, real estate magazines, and regional publications. We contact our data base of clients seeking a Montana property such as yours and send them all pertinent information. We will also pre-screen potential buyers and arrange for showings that work with your lifestyle and personal schedule so that the marketing process is as efficient as possible and always contact you after showings to discuss the response to your property. Every offer will be presented to you and we will carefully go over the crucial details. Price, contingencies, terms, and closing dates are vital areas we will examine as we help you decide whether to accept or reject the offer, or to counter-offer. Our professional competency and personal guidance will help alleviate the stress of any negotiation as we work together to evaluate a potential buyers’ financial qualifications and motivation to close the deal. To make certain that your sale closes in a smooth and timely manner, we help schedule and insure access to your home for inspections, surveys, appraisals, and any work that needs to be completed for contingencies and closing. We will provide you with a list of professionals to choose from who can complete various aspects of required tasks as well as keeping you informed of any situations which may affect your closing and help you solve any problems that may arise. Take You To The Next Step. As we market your home for sale, let Sally and the Platinum Team guide you in your search for your next home in the Gallatin Valley. Sally and her team work vigorously in finding the perfect property that meets your most demanding requirements. 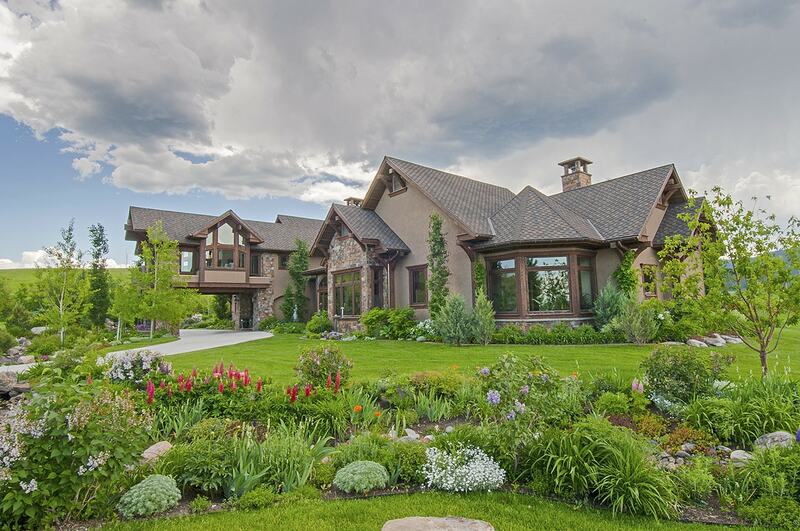 If you choose to move away from the Gallatin Valley area, we are here to facilitate you in finding the most-qualified real estate agent in that market to assist you in locating the ideal property.